The image reverts back to the black disc once it cools. 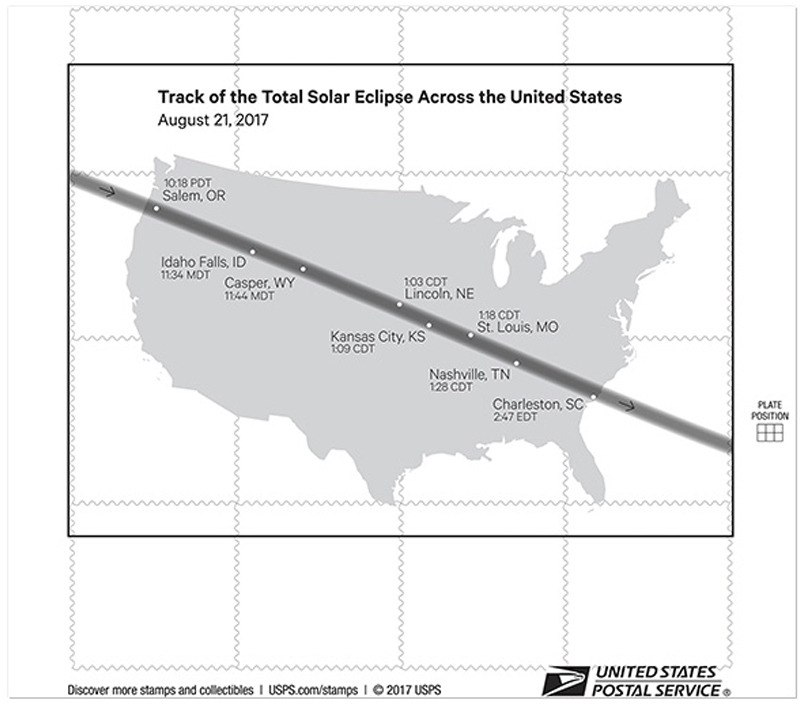 The back of the stamp pane shows a map of the eclipse path.You can preserve the integrity of your Total Eclipse of the Sun Forever® stamp pane with our protective sleeve specifically designed for stamp preservation. 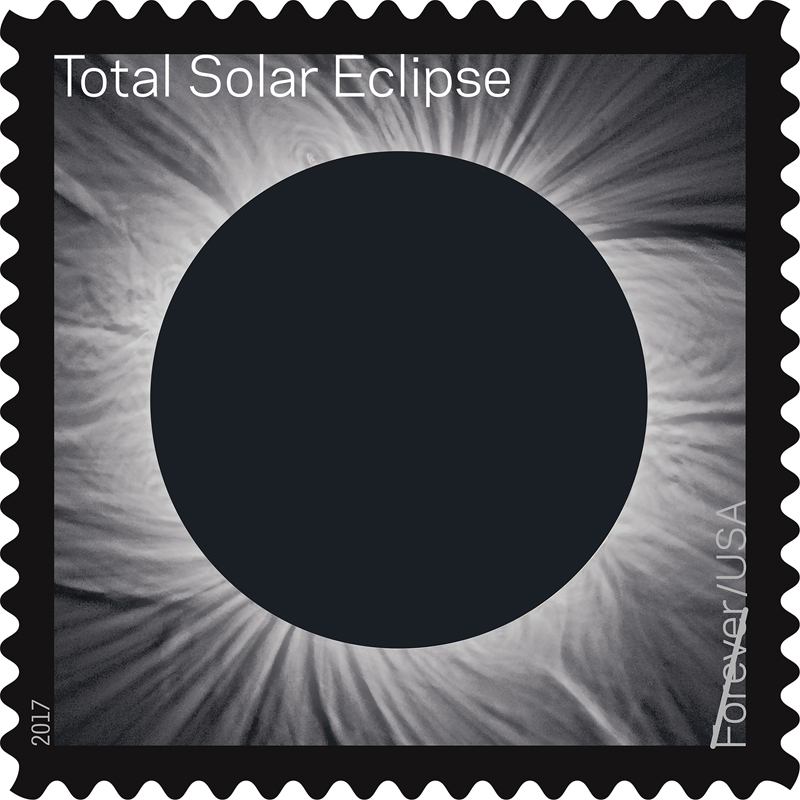 The stamp uses a photograph taken by astrophysicist Fred Espenak of a total solar eclipse that was seen over Jalu, Libya, on March 29, 2006. 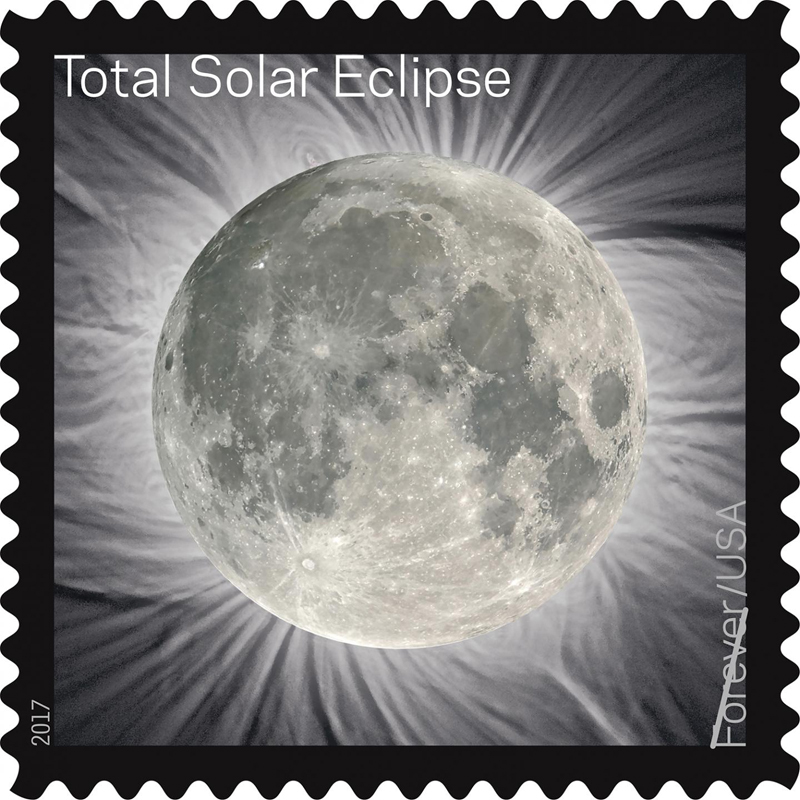 Mr. Espenak also took the photograph of the full moon that is revealed by pressing upon the stamp image. 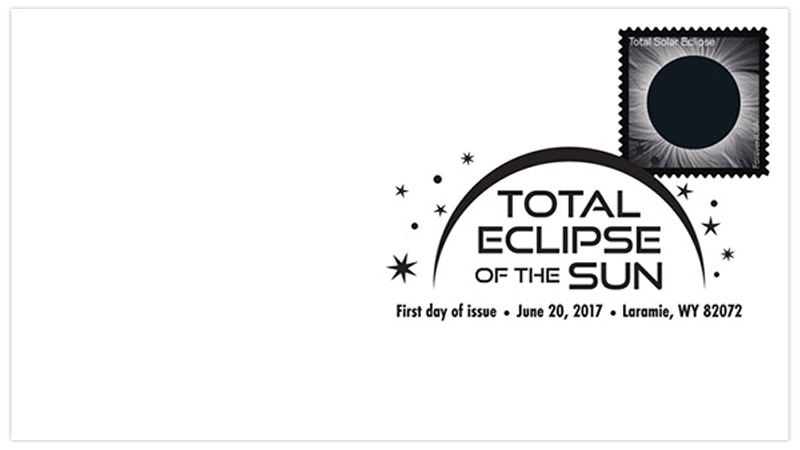 The reverse side of the stamp pane shows the path across the United States of the forthcoming August 21, 2017, total solar eclipse and gives the times that it will appear in some locations.